Hey guys! 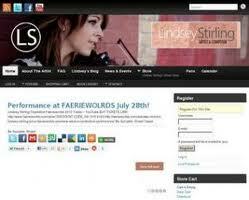 Just curious...I heard through the venue that there is a private meet and great with Lindsey before her show tonight. Was wondering how I could find out how to be a part of this? If you know who to contact or know how to sign up for this Please let me know ASAP!!!! uh why was i thinking of The 1970's TV drama about the LA County fire dept paramedic program created by Jack Webb and R.A. Cinader? oh wait that's because it's called Emergency! but otherwise i have to ask... Did you meet her? i did, and at church no less!